You can practically hear Zordon’s booming voice saying, "Alpha, Rita’s escaped! Recruit a team of teenagers with attitude." Lionsgate has begun their search for young actors to populate the upcoming Power Rangers movie. While no one has officially signed on, reports are naming a handful of stars in contention. According to Variety, the studio is looking for a troupe of fresh faces, while a bigger name will most likely be cast for the main villain. The trade states that actors have begun testing for some of the Ranger roles, including Jason, the Red Ranger; Zack, the Black Ranger; and Kimberly, the Pink Ranger. 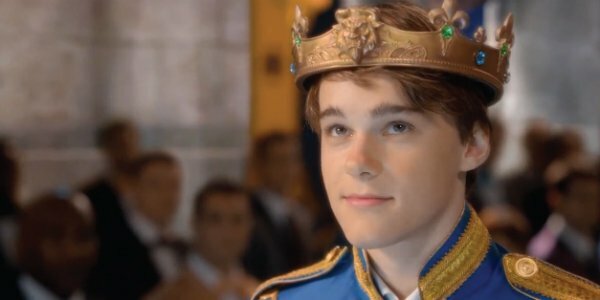 KJ Apa of Shortland Street, Austin Butler of MTV’s The Shannara Chronicles, and Mitchell Hope of The Descendants (shown above) are three names that popped up for Jason. Jason was the first Red Ranger on the long-running TV series and led the Mighty Morphin’ Power Rangers in their fight against alien forces. His signature weapon was a sword, and he commanded the tyrannosaurus zord (i.e. a giant fighting robot used for facing gargantuan foes). 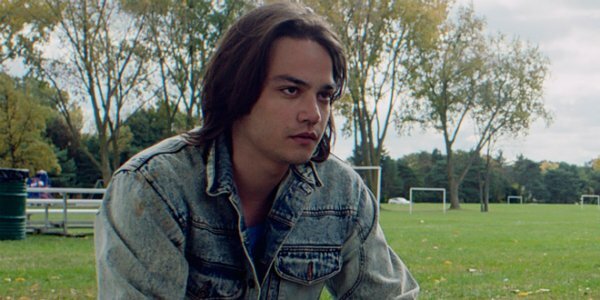 As for the Black Ranger, Daniel Zovatto of It Follows (shown above), Ross Butler of Chasing Life, and Brian "Sene" Marc of Major Crimes are among the names up for the part. Zack was a very energetic character in the series. Although he was an exceptional fighter, he loved to dance. He brandished a battle axe, and commanded the mastodon zord. Only two actresses were cited with the role of Kimberly — Naomi Scott of The Martian and Stephanie Scott of Insidious 3 and the Jem and the Holograms movie (shown above) — though there could be more. In all honesty, Kim was the damsel in distress a lot of the time. In one of the few episodes that focused solely on her, she got captured in a demon jar by one of Rita’s henchmen. Plus, she was the only Ranger who wore a battle skirt. Hopefully the movie reboot will allow for a more badass portrayal, like the one Katee Sackhoff delivered in the dark and gritty Power/Rangers short. Kimberly was the archer of the original series and commanded the pterodactyl zord. Unaddressed by the latest reports were Trini, the Yellow Ranger who wielded daggers and commanded the saber-toothed tiger zord; and Billy, the Blue Ranger who wielded a battle lance and commanded the triceratops zord. There's also the chance that Tommy, the Green/White Ranger, could be involved, as well. Again, this is just the beginning of casting. The new Power Rangers movie is scripted by Ashley Miller and Zack Stentz and will be directed by Dean Israelite. It’s said to be a reimagining of these teenagers who were recruited by an alien force and bestowed with transformative abilities to defend Earth against evil extraterrestrials. Power Rangers is currently scheduled for theaters on January 13, 2017, a year later from its original release.